As part of the science camp on 22 November 2019, a Science Slam will take place next to the traditional poster sessions. Seven courageous participants will present their research work to an audience within three minutes in a simple, descriptive and entertaining way. Everything is allowed, without using PowerPoint. The audience will vote for a winner. How to present your own research topic within three minutes in an easy, illustrative and entertaining way? Accept the challenge and register for this year´s Science Slam as part of the Science Camp. Up to seven young academics have the opportunity to climb up the stage courageously and to win the audience over their research. Everything is allowed, without using PowerPoint! Let your creativity run wild and connect your research with entertainment. Take a step into scientific communication. In the run-up to the Science Slam, the participants get the chance to prepare for their appearance on stage within a workshop that is held exclusively for that purpose. At the end, the audience decides for a winner. The winner will receive a personal coaching/qualification measure with main emphasis of one´s own choice worth 1000€. 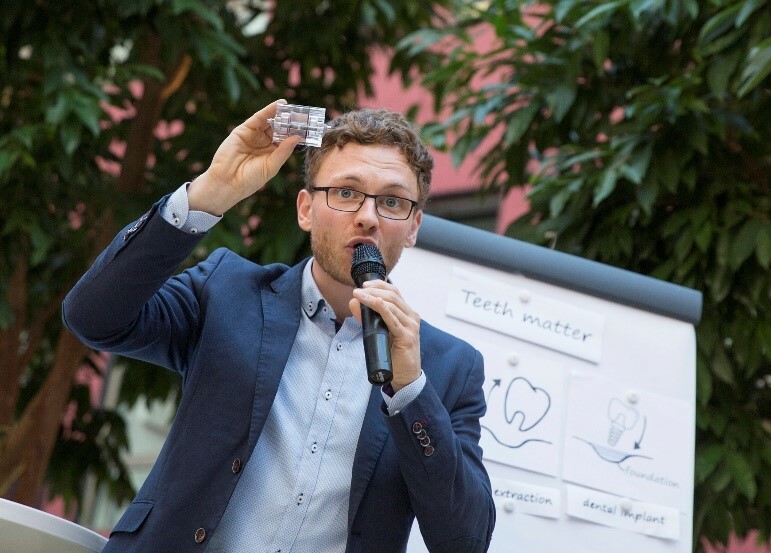 The Science Slam is organized by the Graduate Academy of the University of Rostock. Please apply via the application portal of the Science Camp. What has Robert Ott taken from his participation in the Poster Slam 2017? What were his biggest challenges and hurdles? What can he give to future participants as a tip? You can read here. We looking forward to receive your contribution.